Preparing for John Siracusa’s Review of OS X Mountain Lion Soon! Remember the preparing for John Siracusa’s Review of OS X Lion by Pat Dryburgh? 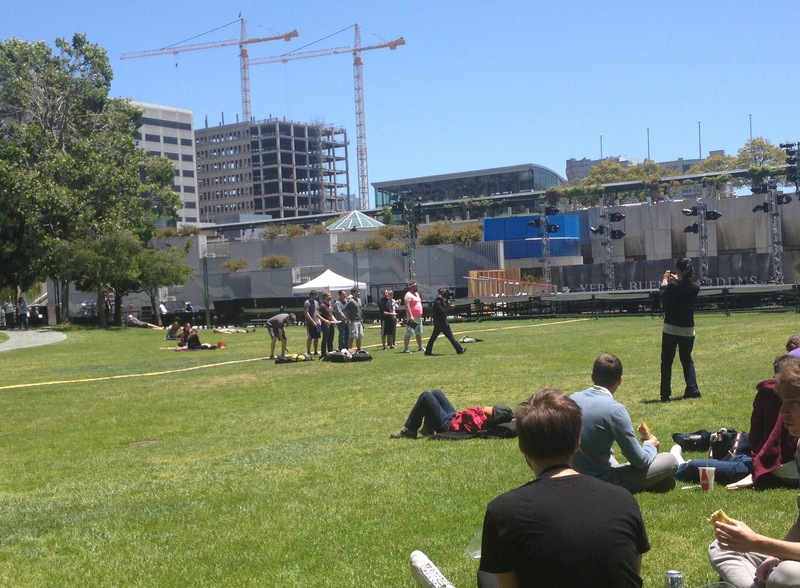 The shots have taken place at Yerba Buena Gardens, near the Moscone center during the WWDC 2012. This team of geeks looks like having a lot of fun!